Google I/O saw a range of Google announcements, from the introduction of a low-end Android O OS for low-end phones to the introduction of new software designed to challenge Siri on iPhone, Google Assistant for iPhone. Apple’s ads-focused competitor is playing a strong move with this release. The company hopes to exploit existing public perception that Siri isn’t such a great voice assistant by launching its own assistant at Apple’s platform. Time – and any Siri improvements announced at WWDC – will tell us if it succeeds in this. Presently available only in the U.S., Google Assistant lets you use your voice to request Google searches and control services, including smart home devices. You can use it to make calls, send messages and emails, set reminders and events, play YouTube music, get navigation advice, and search for the answers to questions. It is an app, which means you need to activate it to use it just as you do any app on iOS. That's different from Siri on iOS, which is built inside the operating system so you can access it without needing to open the app. Curiously, Assistant can do one thing Siri inexplicably cannot do -- which is to turn on your flashlight. Enterprise users, particularly developers, may also be interested to learn that Google has introduced a software development kit they can use to build apps that integrate with Google Assistant. What else do enterprise users who are building their digital transformation strategy around Apple and iOS need to know about Google’s new toy? There are a few reasons enterprise users may be wary of jumping too fast to allow employees to install the new software on their iPhones, particularly those used to share and/or access confidential information. It is fortunate that most digital transformation leaders in the C-suite are already too wary to simply extend their existing security policy in order to support any new software, particularly software that by its nature demands potentially valuable information be shared with a third-party server outside of corporate control. The size: The app weighs in at 256MB. This is by no means a deal-breaker, but it may challenge enterprise-wise deployments that use low capacity iPhones. Battery life impact: We know from using Facebook, Twitter, and other powerful social media apps that solutions that update themselves regularly can become battery life hogs. Now, Google Assistant has only been available for a short time and I can’t speak to how much energy the app consumes, but it’s going to make little sense revising existing protocols to enable use of this app if it means your mobile workers see a big impact on power requirements. Google Account: To use Google Assistant on an iPhone employees will need to sign-in with their Google account. Now, security policy differs across every enterprise: Those using Google Docs will probably be fine with this, but others, particularly those standardized around secure proprietary technologies, or those subject to regular hacker probes and/or phishing attacks may want be hesitant to link their systems up to a world-facing service. Any or all of these may be red flags for many enterprise users. I know that use of location-based services is a no-no in some (though not all) deployments. You control data gathered by Google Assistant here. 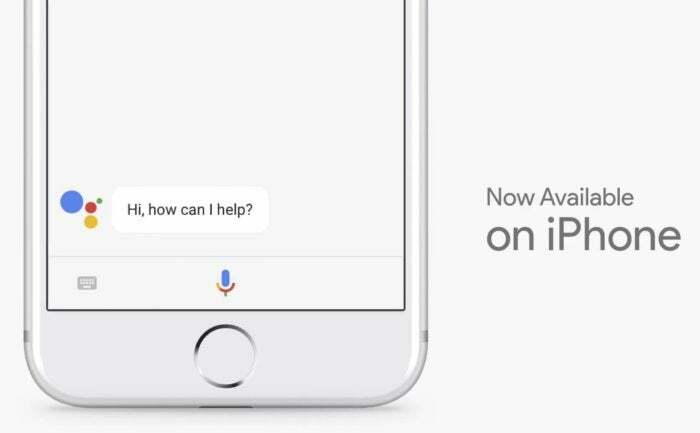 Now Assistant is available on iOS, will Apple bring Siri to Android? I doubt it, but as both firms invest heavily in machine intelligence and AI, it will be interesting to see which of these two services (and Cortana, which is also available on iOS) will still be seen as the best available voice assistant in 12-months. That’s great for consumer users, but enterprise chiefs will likely want to think a little more deeply before adding support to Google’s tool to their security policy. Will you use Google Assistant on your iPhone? Let us know in this poll.